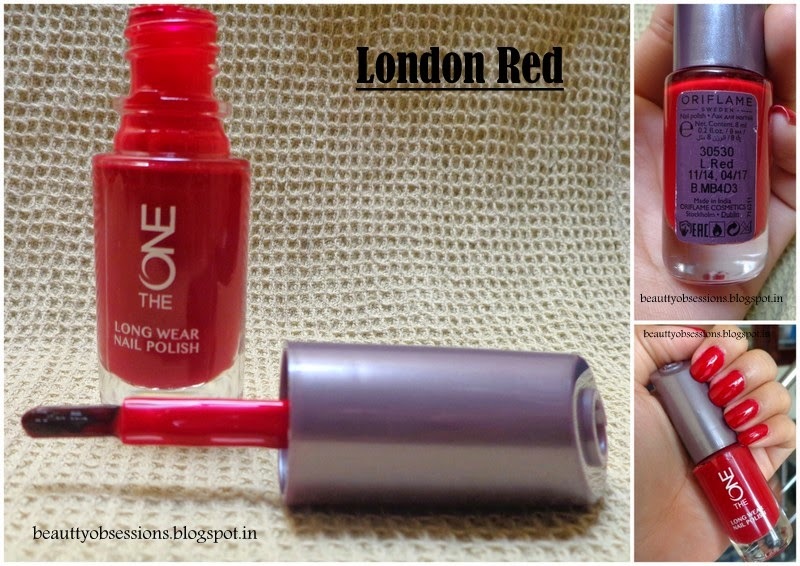 My Love Towards Bright & Bold Shades - Oriflame THE ONE Nail Polishes "Fuchsia Allure " & "London Red"
I am here with again two nail paint reviews and that's from Oriflame Cosmetics.. I have total 5 shades from their THE ONE range and three shades (which are into pastel family) are already reviewed here.. Click HERE .. If you are in love with bold,bright and dark shades then,these two shades are perfect for you. Or if you are a going to be bride,then these two shades are must for your bridal collection. Hence the name of the shades are "Fuchsia Allure" & "London Red" , one is a bright pink while another one is a bold red shade. So let's read below for more details..
Price: Rs 299/- for 8ml. Packaging: The packaging is different from regular nail paints and the applicator as well. 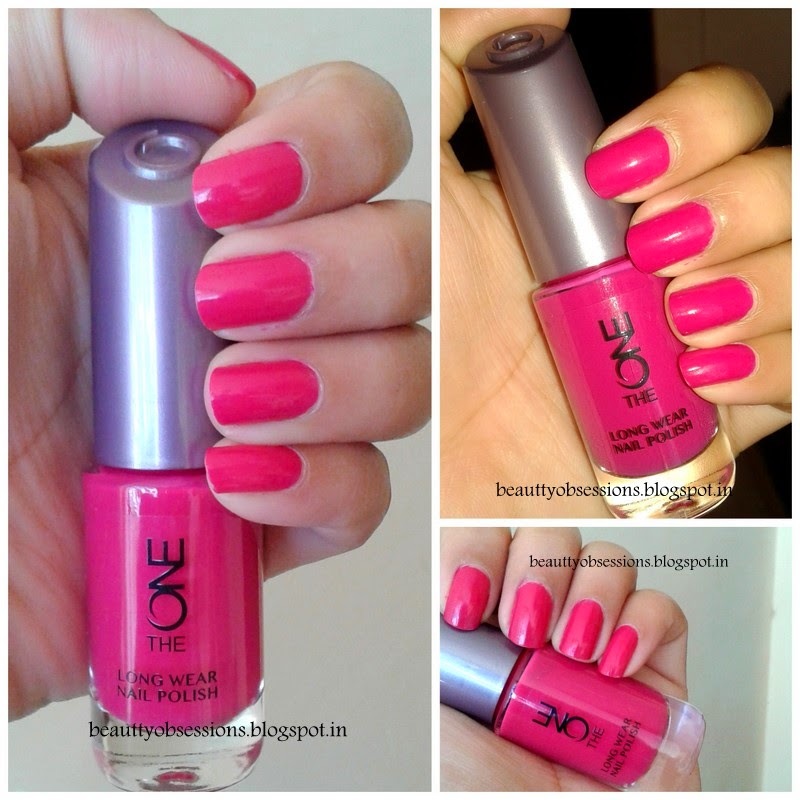 The nail polish is sleek and tall with wide applicator which has 'U' shape bristles. The applicator is of very good quality and easy to apply. It holds proper quantity of products and just two stokes covers the whole nail. The formula is thick and creamy which makes it perfect to apply. The packaging is very sturdy and the cap locks tightly ,so no tension for leakage . 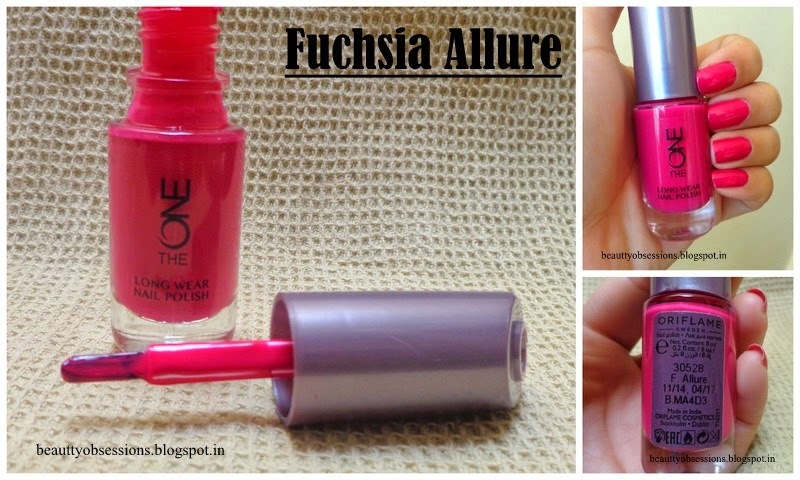 I love the locking style of the whole ONE range..
Fuchsia Allure: This is a very pretty bright fuchsia shade with some coral touch which has great pigmentation capacity. Only one swipe and ready to flaunt the nails. This colour makes my nails look fairer. It looks equally beautiful on my toe nails as well. The shade is a must addition in your kit/ bridal kit. It dries up quickly and lasts for a week easily. They are of very good quality and worth try product. London Red: This one is a must try shade in your kit especially for a going to be bride. It is not the complete red but somewhere in between burgundy and red or you can take it as bloody red shade. Sorry , I am very poor in describing colours. Again the pigmentation is really superb ,only one swipe and here you go. It dries super fast and stays up to 4 days without cheeping. 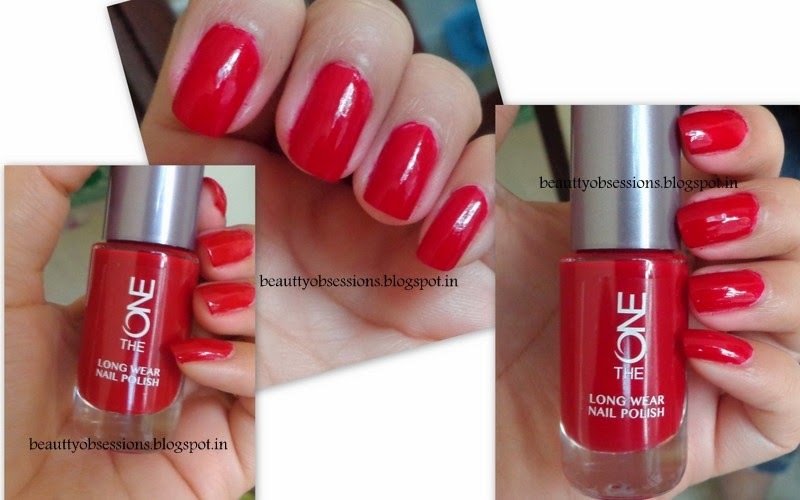 I love the colour very much,it makes fingers fairer and looks slim.. I will recommend this shade to everyone to give a try. Some more pics to enjoy..
P.S- Product was sent by PR for review purpose.. but my opinion is honest and unbiased.